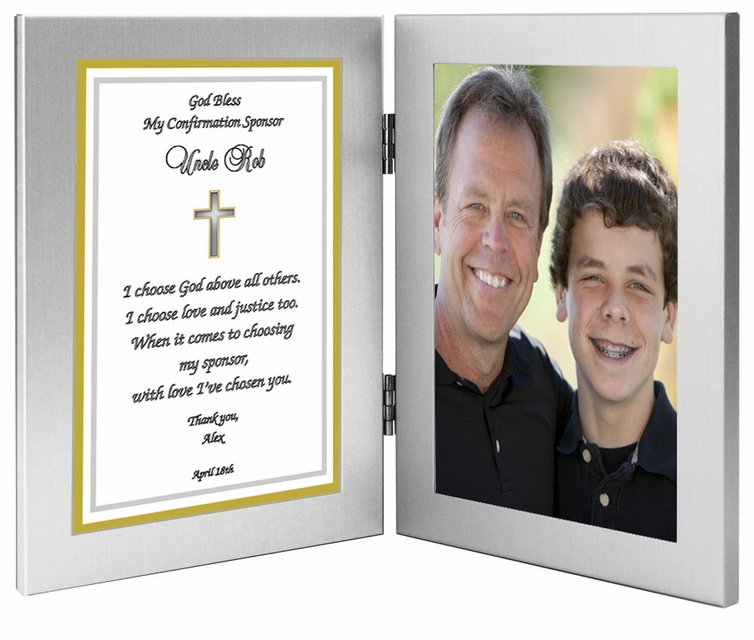 Confirmation sponsor gift personalized and presented in a double 4x6 inch frame. Unique way to thank a sponsor and create a wonderful keepsake for him or her. 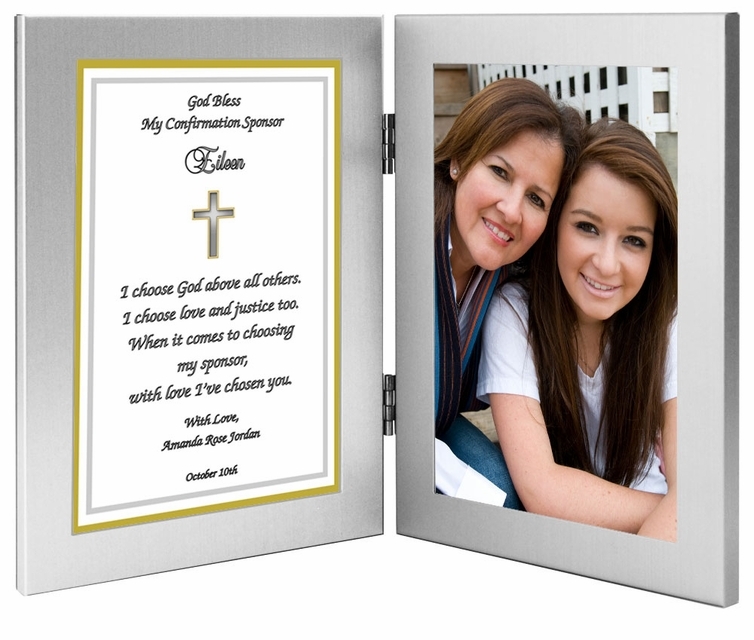 The confirmation sponsor poem is presented in a double 4"x6" silver metallic frame for desktop display. 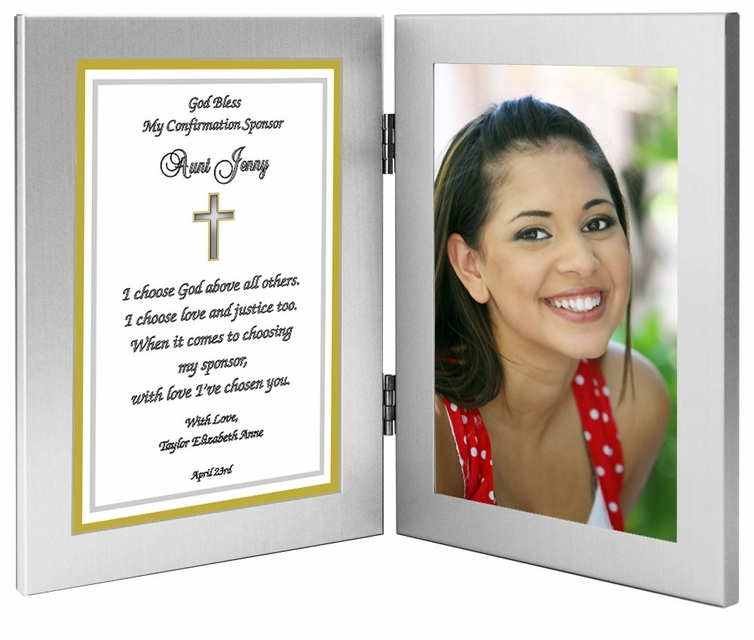 Personalize this confirmation gift with sponsor's name, closing phrase and name, and confirmation date. I choose God above all others. I choose love and justice too. with love I’ve chosen you. Fill in personalization questions above and "Add to Cart." 5 out of 5, Based on 5 Reviews. This frame is beautifully build, heavy and makes an awesome gift. What a great purchase. Nice, quality gift. Easy to order and unbelievably speedy service! I received this within days of ordering and it was perfect! I'm impressed and will come back when the occasion arises. My daughter gave this frame to her sponsor and she loved it. Very nice quality. We were very happy with it. We understand that some of our customers enjoy writing their own poetry. If you would like to express your feelings in your own words and in your own style about someone dear to you, we will be happy to design it in one of our Poetry Gifts. Go to our Design Your Own Poem category.